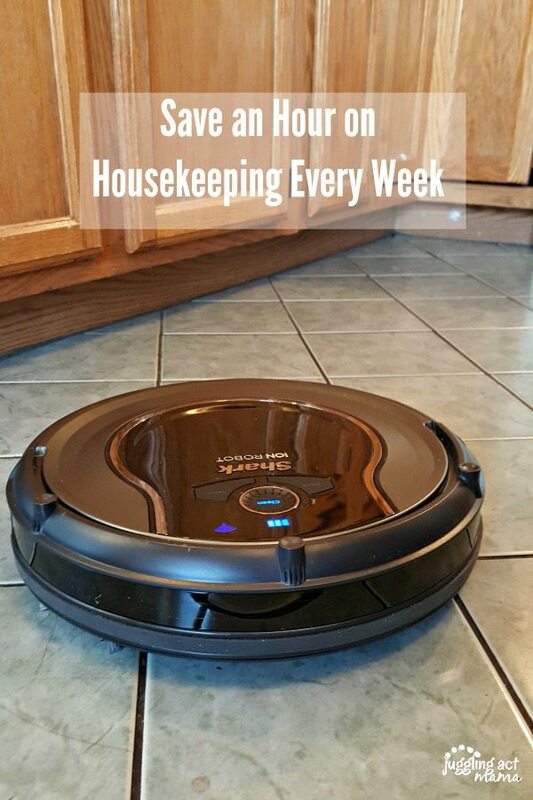 Save an Hour on Housekeeping Every Week by outsourcing your vacuuming! 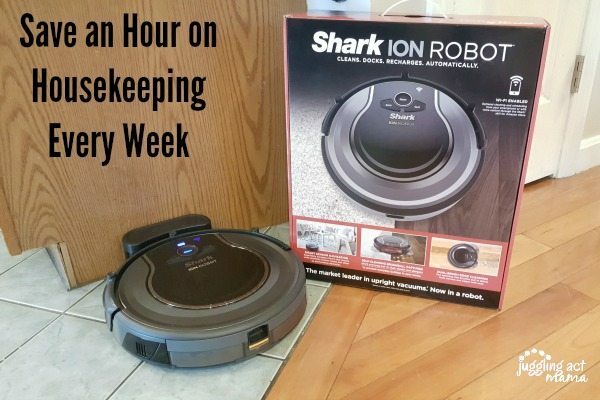 This is the story of how a shark became a member of our family… and now I save an hour on housekeeping every week! Sounds strange, right? Well, as all busy parents know, there’s just never enough time in the day. At night, I sometimes lay in bed awake thinking about all the things I should have done but didn’t. There’s always homework and reminding Ethan to practice his viola. The dishwasher always has clean or dirty dishes in it and laundry is never ending. It’s so hard to keep up with it all. I mean, I know I’m the Juggling Act Mama, but I’m not going to be winning any housekeeping awards! I hated hauling out the big heavy vacuum cleaner to do the floors, and then dragging it upstairs for the bedrooms and downstairs to the playroom. What a hassle! Who has time for all that? Between work, Girl Scouts, basketball, Cub Scouts and PTA, I certainly don’t! 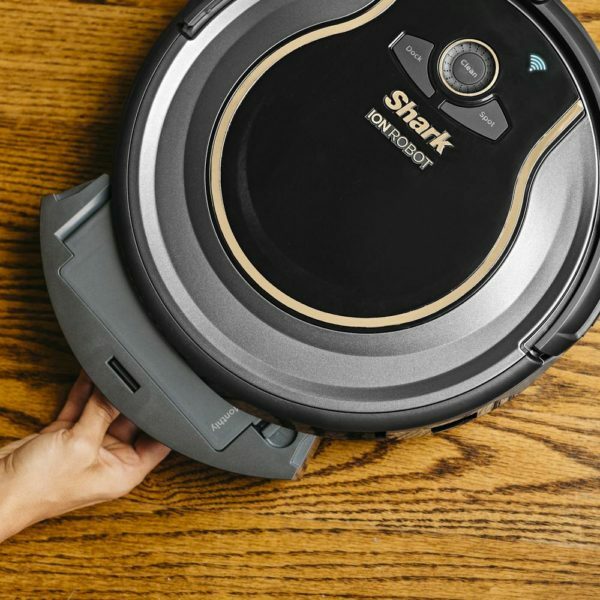 Enter the Shark ION ROBOT 750 Vacuum with Wi-Fi Connectivity + Voice Control which has literally changed my life. I don’t have to vacuum anymore. Seriously, all I do is push one little button now – ah, the miracle of modern technology! And, it was pretty simple to set up, too. 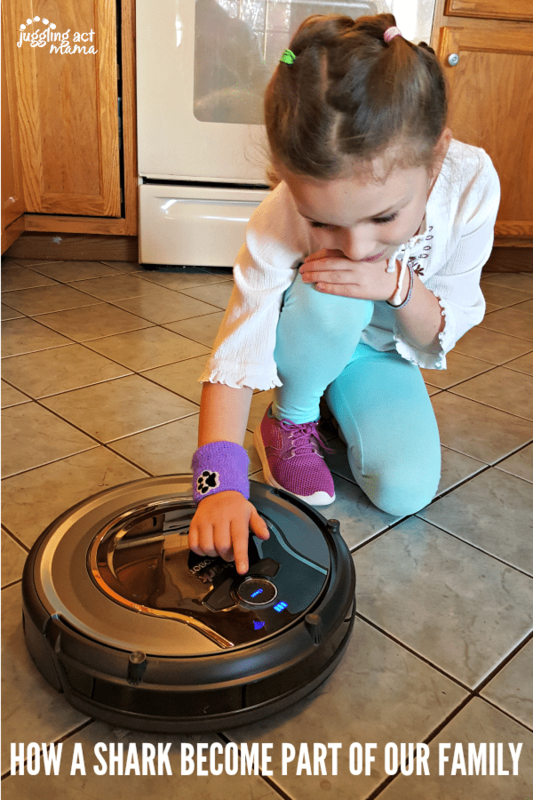 Growing up, Mr. Juggling Act and I both watched The Jetsons, so when it came time to name our Shark ION ROBOT vacuum, “Rosie” only seemed natural. ( By the way, Mr. Juggling Act is upset we still don’t have flying cars!) We scheduled “Rosie” to run overnight. Here’s a pro tip, before you go to bed, run around quickly and make sure to pick up backpacks and shoes so your vacuum can do a thorough job. The kids were amazed to come down in the morning and find Rosie swishing around the kitchen floor picking up all of their crumbs from the day before. I have to say, it’s pretty amazing to watch! “Rosie” picks up fine dust and dirt better than my old regular vacuum cleaner and saves me SO. MUCH. TIME. In fact, since “Rosie” is doing all the vacuuming, I’m saving myself about an hour a week now! I don’t know about you, but that’s an hour I need! It goes under furniture when it has clearance, and has a sensor so it won’t fall down the stairs. 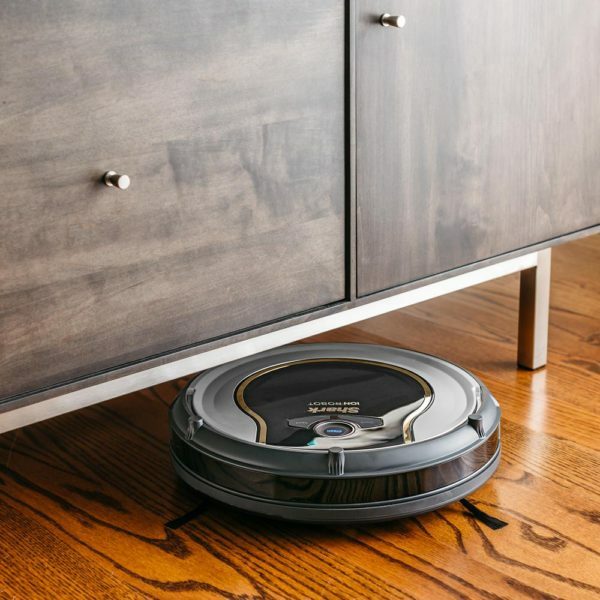 It comes with BotBoundry strips so you can tell your Shark ION ROBOT Vacuum where not go, too, like near our recliner where it often gets stuck. 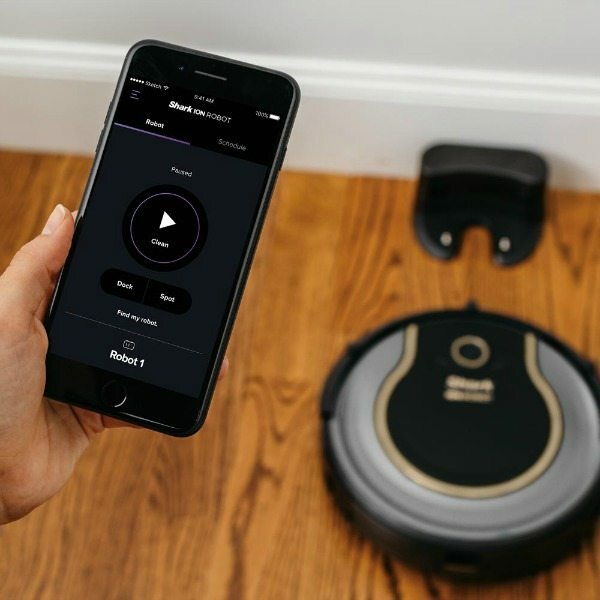 The commercials say that the Shark ION ROBOT Vacuum is the perfect solution for everyday upkeep and it’s not an overstatement. Our floors have never been this clean before. One of our favorite features is the easy-to-use mobile app. We can program and monitor your robot from anywhere – it will even send a notice to your phone if it is stuck or the battery is low. If it does get stuck, it wisely shuts itself off. “Rosie” is bigger than I thought it would be, and I was skeptical about how it would handle corners and edges. It has two spinning side brushes to pull in debris so it truly gets the floors completely clean. Now, remember how I said a shark became part of our family? Well, we didn’t expect the kids to love “Rosie” as much as they do…. it’s like we have a new pet! Olivia comes home from school each day and greets “Rosie” and pats her. Ethan always wants to be the one to start the cleaning process and I think he’s dropping more crumbs than usual so he can push the clean button! Speaking of which, there’s a cool feature where it will spot clean if you just need one area done. I would definitely recommend this product to busy families! The kids can easily clean out the drawer, too, so I don’t have to stoop to empty it. Love the name Rosie, I grew up watching Jetsons, too! I don’t see how it can get into corners, how does it clean so well? So I got a Shark for Christmas and I love it. It’s such a huge time saver! !